4 Speakers, AM/FM Radio, AM/FM Stereo/Clock/Single CD, CD Player, MP3 Decoder, Radio Data System, Air Conditioning, Power Steering, Power Windows, Remote Keyless Entry, Speed-Sensing Steering, Traction Control, 4-Wheel Disc Brakes, ABS Brakes, Dual Front Impact Airbags, Dual Front Side Impact Airbags, Front Anti-Roll Bar, Front Wheel Independent Suspension, Low Tire Pressure Warning, Occupant Sensing Airbag, Overhead Airbag, Electronic Stability Control, Delay-Off Headlights, Front Fog Lights, Fully Automatic Headlights, Panic Alarm, Security System, Speed Control, Bumpers: Chrome, Power Door Mirrors, Rear Step Bumper, Compass, Driver Door Bin, Driver Vanity Mirror, Front Reading Lights, Illuminated Entry, Outside Temperature Display, Overhead Console, Passenger Vanity Mirror, Rear Reading Lights, Tachometer, Tilt Steering Wheel, Cloth 40/20/40 Front Seat, Split Folding Rear Seat, Front Center Armrest W/Storage, Passenger Door Bin, Alloy Wheels, Variably Intermittent Wipers, ONE OWNER, CLEAN VEHICLE HISTORY...NO ACCIDENTS, SERVICE RECORDS AVAILABLE, LOW MILES! "Pine Belt proudly offers it's customers our very best in treatment, service, and of course price!"............................... 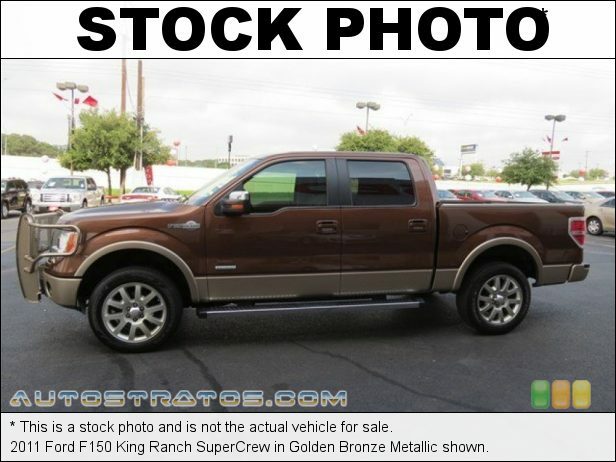 ONE OWNER, CLEAN VEHICLE HISTORY...NO ACCIDENTS, SERVICE RECORDS AVAILABLE, LOW MILES!, F-150 XLT, 4D SuperCrew, EcoBoost 3.5L V6 GTDi DOHC 24V Twin Turbocharged, ABS brakes, Electronic Stability Control, Fully automatic headlights, Remote keyless entry, Traction control. Silver 2011 Ford F-150 XLT Awards: * 2011 KBB.com Brand Image Awards ..............................Pine Belt Enterprises, Inc. Is a family owned and operated new and pre-owned vehicle automobile center. Our hand-picked pedigreed inventory sets us apart from all other dealerships offering pre-owned vehicles in New Jersey. Why? We secure most of our inventory through our vast network of dealers that we've worked with over the last 80 years to hand pick trade-ins. We also purchase our customers cars and run them through our intensive 172 point inspection process. More than 40% of these vehicles NEVER make it through this process and are NEVER offered for sale. We like to call this the Pine Belt difference...if we wouldn't sell it our family...we won't sell it to yours. Pine Belt Enterprises, Inc. Proudly offers you the highest quality vehicles that represent the best value ANYWHERE, a friendly and comfortable purchase experience with absolutely no pressure, and a completely transparent process providing you with all of the information you require to make the most educated purchase decision possible. We provide comprehensive warranty options, financing from multiple banks and sources, free Carfax reports, and will even bring any one of our vehicles to you for a test drive. Call, click, or stop by today for a WORLD CLASS purchase experience that is second to NONE in New Jersey. From our family to yours...we looking forward to serving you!